Eight public computers with Internet access and Microsoft Office are available. Guest passes are issued for those out of the area or visiting. 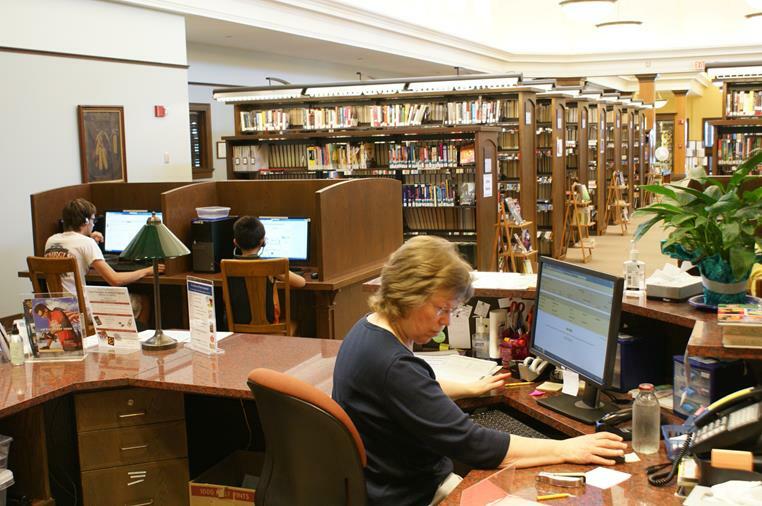 Library cardholders may have up to 2 hours of computer use per day. Guests receive 1 hour per day. Printing is available for all public use computers. Black and White prints are $.10 per page and Color prints are $.40 per page. Three catalog computers are available as well. The Children's Department has four public computers, one early literacy computer and two Kindle Fires available for patrons 5th grade and younger for in-library use. Printing is available from the Children's computers. Black and White prints are $.10 per page and Color prints are $.40 per page. Children must be 6 years and older to use these on their own. Three catalog computers are available in the Children's Department. Free WiFi is available to all patrons. No password is required to connect to the network KYLibrary. Please see our full Computer Use Policy for more information.